A bit of an inflammatory title here but it is true and I like this video...a whole lot!! Thank you for posting this! I'm transitioning, and plan to BC on Dec 2012! I like it too and I like her. I think I will check out other videos by this young lady. (I'm assuming she has others) Thanks for sharing. Great attitude = great video. I really liked this. Thanks for sharing. Thanks for the comments my lovelies!! Sunshine does have a very active youtube account so do stop by and check her out. Great video. I love the attitude!! I enjoyed this video but it made me wonder if people aren’t making this “going natural” experience a bigger deal than it is? Perhaps it is difficult for me to understand because I grew up in a culture where natural hair is very common and people don’t make a big deal about hair whether its relaxed or natural. Your hair preference wasn’t associated with views on life/self esteem etc. It was just hair. But in the US (where I now reside), it seems to ME like people get so worked up about it. Anyone else has this perspective? 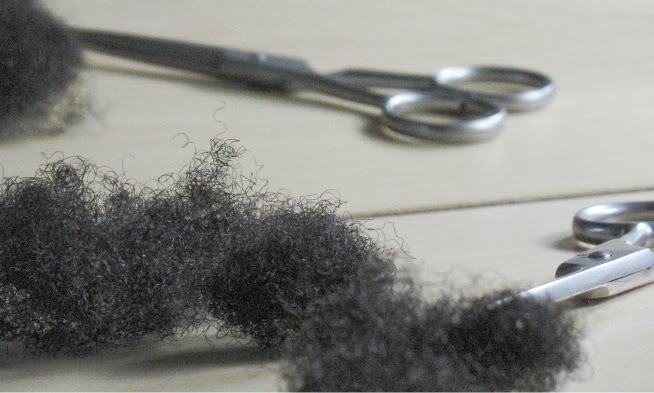 Second Question: Is it the general opinion in the natural community that taking care of natural hair is more work/involved than taking care of relaxed hair? I’m natural and my sister is relaxed. We both practise healthy hair care techniques (regimens and all that) but I think that she requires way more effort than I do. Some might make the opposite claim. So I don’t think that it is the state of the hair (relaxed or natural) per se that determines how much effort is required. For example, back in the day my hair was natural but my healthy hair care techniques were basically non-existent, hair maintenance didn’t take much time at all. Now that I’m more knowledgeable about healthy hair care, my hair process takes a lot more time. I feel like a person with relaxed hair can make the same claim about being on a healthy hair care regimen. Any thoughts? Hi Anon - Your comment is perfectly placed! Q1: You are right about different cultures. In USA, going natural is a big deal. It is still very common in the older generation of black people to find some individuals who do regard natural hair as an embarassment. This has weaved itself through subsequent generations in varying proportions. Q2: Very interesting, I will do a post on this because I have some things to say! Love it, I haven't been on her site in a minute but I'm definitely subbing to her YT channel!